After months of exciting build-up and plenty of talk, the Champions League is back with a bang as Real Madrid host Manchester United in the standout last-16 tie. The clash sees Portugal superstar Cristiano Ronaldo face the Red Devils for the first time since jetting off to the Bernabeu in a world record £80 million transfer in 2009, and almost 10 years since the last meeting between these two sides when a stunning hat-trick from former Brazil international striker Ronaldo saw los Blancos through to the semi-final stage that season. It is also a reunion for Jose Mourinho and Sir Alex Ferguson. The ‘Special One’ has been linked with replacing the legendary Scot when he eventually steps down from the Old Trafford hot-seat, but will be desperate to win ‘la Decima’ for the Spanish side this term, and his third Champions League title in the process, with defending the Liga crown looking impossible for Madrid. Despite Ronaldo leaving United, many have predicted that he will be afforded a warm reception from the English fans. Mourinho himself was in typically box-office form ahead of the match after scouting United in their comfortable 2-0 win over Everton on Sunday afternoon. Before the Red Devils take to the field against the Spanish champions, the Serie A title holders will be on British shores when Juventus are hosted by Celtic. The Hoops have previous noteworthy triumphs in this season’s competition, having already stunned Lionel Messi & Co. when Barcelona travelled to Parkhead earlier this term and will be hoping for another stirring Glasgow atmosphere when the Bianconeri come to town. Kenyan star Victor Wanyama scored in Celtic’s win over the Liga leaders and is hoping to repeat the heroics against the Italian table-toppers. He exclusively told Goal.com: “The journey is still on. 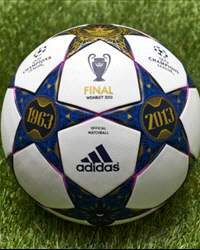 We are not looking at just Juventus, but are looking at going all the way and maybe lifting the big prize. “What is at stake is the big prize and that is why playing Juventus will be an amazing match. We were rated the underdogs and went on to shock Barcelona. “On paper, I still believe that we are underdogs going into Tuesday’s match against Juventus but this status will definitely keep us motivated. Conquerors of Manchester City and Chelsea, Borussia Dortmund and Shakhtar Donestk, meet in one of the round’s more fascinating ties. Dortmund boss Jurgen Klopp has been linked with moves to Europe’s leading lights, but told Goal.com that he does not intend on leaving the Signul Iduna Park just yet. David Beckham, however, will not be making a return to Champions League action this weekend as he is yet to regain enough fitness for Paris Saint-Germain as they face Valencia at the Mestalla. Los Che have secured 1-1 draws at home to Real Madrid and Barcelona since the turn of the year, although they have also been on the wrong end of a 5-0 hiding from Mourinho’s side, while Carlo Ancelotti’s charges have tightened their grip at the top of Ligue 1 recently, extending their lead to six points. Goal.com is the only place to follow all the action! You can keep up to date with all the build-up and exploits across the continent with our LIVE blog from 12.00BST!